In ABC CAR RENTAL we offer economic rental cars in all the national territory, we have strong commercial partners that allow us to offer really accessible rental cars & vans. To rent a car in Los cabos you just need to have a valid driver’s license, a valid credit card (VISA, MASTER CARD or AMERICAN EXPRESS) and be 21 years or older. The rates we offer here include free mileage, insurances & taxes. If you wish, you can Lease a car in Los cabos with additional services by paying a small additional fee. Don’t get amazed! When we say free mileage we are guaranteeing you can drive freely without paying additional costs besides, we offer really economical rates in the Leasing of a car Los cabos, we include insurance & taxes. We give you the warmest welcome to our website, here you can quote online. To book a car you can go to our site to facilitate your experience in the rental cars within the Republic of Mexico, or if you like call to our Reservation Headquarters toll free from Mexico 01 998 849 5294 & toll free from U.S. & & Canada 01 800 080 5396. Working hours Monday thru Friday from 08:00 to 19:00 Hrs. ABC Car Rental always renovating the rental cars in Acapulco. 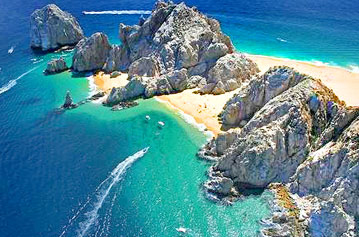 Los cabos.